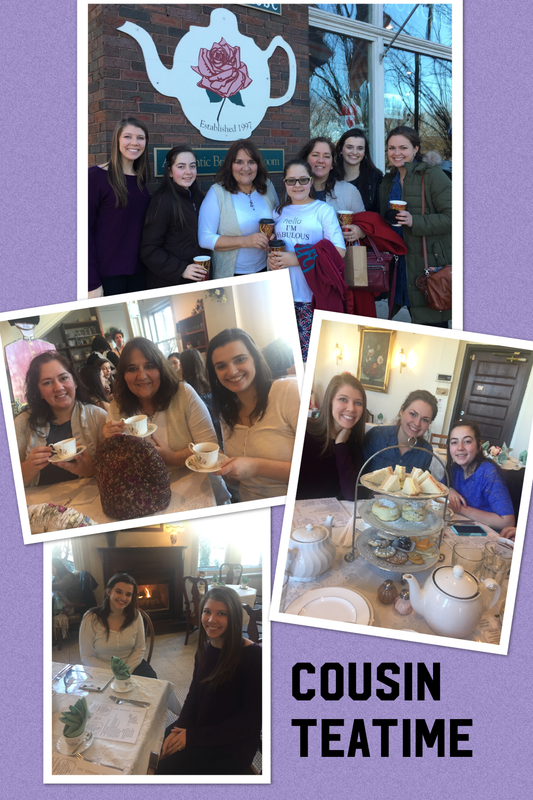 After going to The English Rose tea room in Chattanooga, Tennessee this weekend to celebrate our cousin Natalie getting a new job as an airline flight attendant and moving to New York, what do you do?? Our idea? Make scones. They were much easier than we imagined. 1 1/2 cups plain flour, 2 teaspoons baking powder, 1/2 teaspoon baking soda, 1/2 teaspoon salt, 1/4 cup sugar- Mix well- add 1 cup mayonnaise or sour cream- knead well and form into a ball. Roll out onto floured board or wax paper 3/4 inch thick and cut with round biscuit cutter. Bake on wax paper 10-12 minutes in preheated oven 400 degrees. And of course what you put on the scones is as important! Butter and honey are at the top of the list, and a close second is lemon or raspberry curd, followed by any preserves or jelly. Or just eat them plain if you like. Wow! Looks delicious! We are so proud of Natalie and wish her much happiness! I love the English Tea Room, I haven’t enjoyed it in years, I’m so glad they are still there to fellowship and enjoy. You all look wonderful! Natalie we wish you the very best in your new adventure, I will miss seeing your beautiful smile when we are in Chickamauga at the same times. The scones look very delicious!